Al2O3-CaO-SiC-based ceramic composites with four different compositions were sintered at 1700°C for 3 h in an air furnace. The phase analysis, microstructural characterization, and elemental composition determination of the developed composites were performed by X-ray diffraction (XRD), field-emission scanning electron microscopy (FESEM), and energy-dispersive X-ray (EDAX) analysis, respectively. The shrinkage, thermal properties, and electrical resistivity of the composites were also studied. 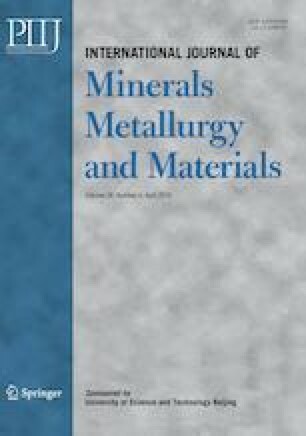 The experimental results showed the effects of adding silicon carbide and calcia to alumina on the thermal, electrical, and shrinkage properties of the resultant composites. Among the four investigated ceramic composites, the one composed of 99wt% alumina, 0.5wt% CaO, and 0.5wt% SiC exhibited the best characteristics for use as a potting material in a dispenser cathode of a microwave tube. The material exhibited slight expansion instead of shrinkage during drying or firing. Other properties of the composite powder, such as its thermal properties and electrical resistivity, were comparable to those of a commercial alumina powder. The authors acknowledge the financial support of Council of Scientific and Industrial Research (CSIR), India Through network Project (No. MTDDC-PSC0101).